Instead of a coffee break, why not try a "puppy break"? 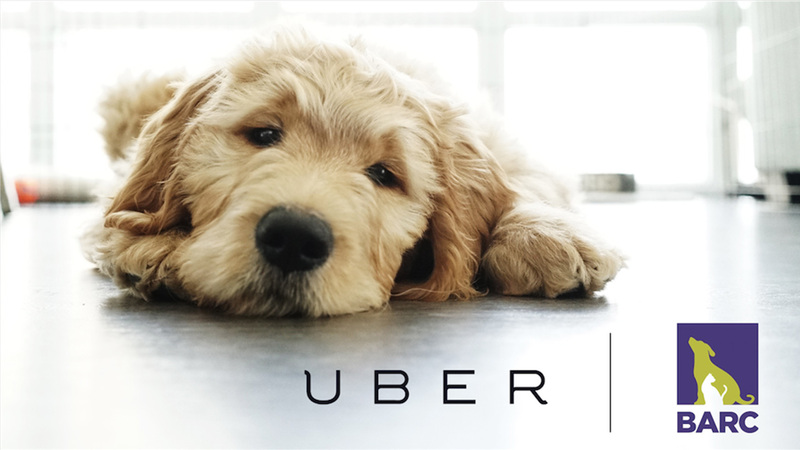 Uber is partnering with BARC Animal Shelter and Adoptions to deliver puppies on demand. From 11am until 2pm today, Houstonians can open the Uber app, slide over to PUPPIES and request 15 minutes of playtime for $25. All puppies are available for adoption and all proceeds will be donated to the City of Houston's BARC Animal Shelter and Adoptions. "UberPUPPIES is a fun and interactive way to raise money and awareness for a worthy cause," said General Manager Sarfraz Maredia, Uber Houston. "We are excited to use the power of our platform to connect people to puppies in need of a home." "We are happy to add Uber to our network of over 150 organizations working to find permanent homes for the 25,000 animals BARC takes in each year," said Lara Cottingham, Deputy Assistant Director for the City's Administration and Regulatory Affairs Department. "The best part is that every puppy is immediately available for adoption and there are many more to choose from at BARC." "We expect demand to be high. If you can't get a puppy immediately, please refresh your app and keep trying," said Maredia. For more information on adoptions and to support BARC visit http://barchoustonblog.com/. If you use "UberPUPPIES" today, please tweet or Facebook me a picture.